Embark on a 90-minute kayaking tour of the Seven Sea Caves. Watch as sea lions bask in the sun and swim throughout the sanctuary. Keep an eye out for dolphins, fish, and other sea creatures throughout your tour. 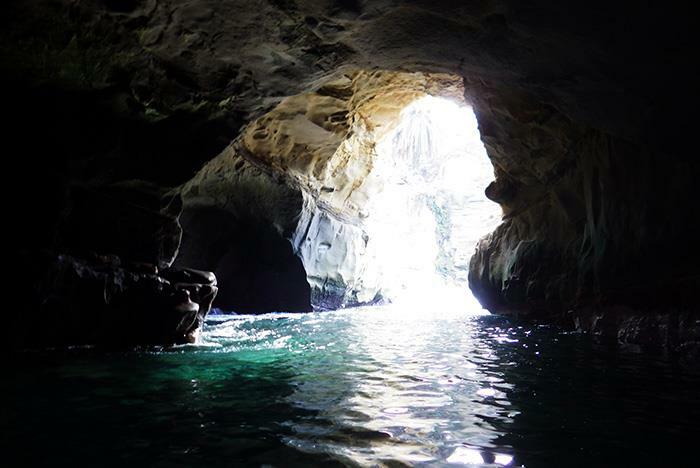 Depending on weather and surf conditions, your tour will bring you into a natural wonder: Emerald Cave. 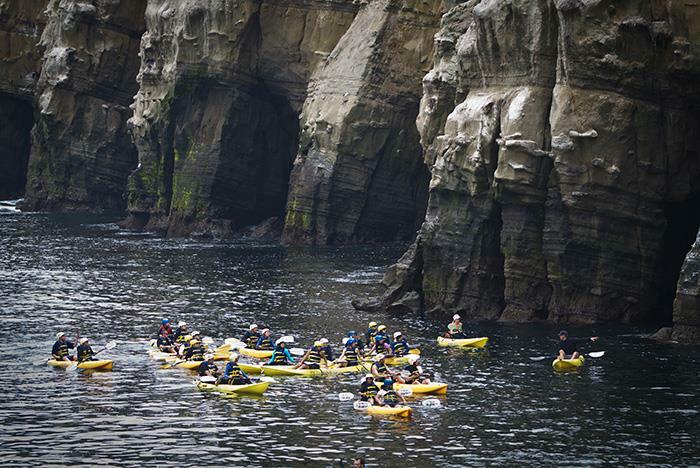 Get ready for a memorable La Jolla kayaking adventure unlike any other. The kayaking tour is approximately 90-minutes long. Participants must be ages 6 and up. Tours meet at the Everyday California Shop. Tours have a maximum of 20 people. Previous kayaking experience is not required. 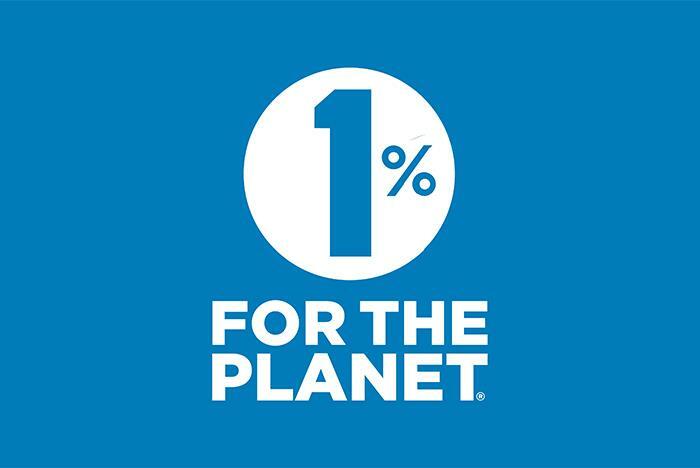 Everyday California donates to 1% For The Planet & Greenwave on all bookings. Explore the Seven Sea Caves and kayak through three of the four microhabitats present in the La Jolla Ecological Reserve. You’ll watch sea lions sunbathing on the rocks and swimming in the sanctuary. Bright orange garibaldi standout among the vibrant green sea grass and numerous other fish swim around delighting the eye. You might even see dolphins cruising alongside your kayak before you make your way back and prepare to surf your kayak back to shore. Throughout the summer months, you’ll see the biggest Leopard Shark Aggregation in the world. In the winter, witness Gray Whales on their annual migration from Alaska to Baja California. Memorable experiences await you. Entry into Emerald Cave depends upon the safety of the conditions and is just one small part of this amazing tour. Regardless of entering or not, you'll have a great time! Tour runs every day of the year (EXCEPT Christmas day and the 4th of July) as long as conditions permit/safety. Is there an age requirement for this tour? Yes. Tours are ideal for ages 6 and up. Do I need to know how to kayak prior to the tour? No. Previous kayaking experience is not required. Our professional guides will assist you. The tour is approximately 90-minutes long. Please arrive no later than 30 minutes prior to your scheduled tour time. Your tour time is the time the group MUST be on the water. Tours leave as a group from the shop 10-15 minutes prior to your tour time. 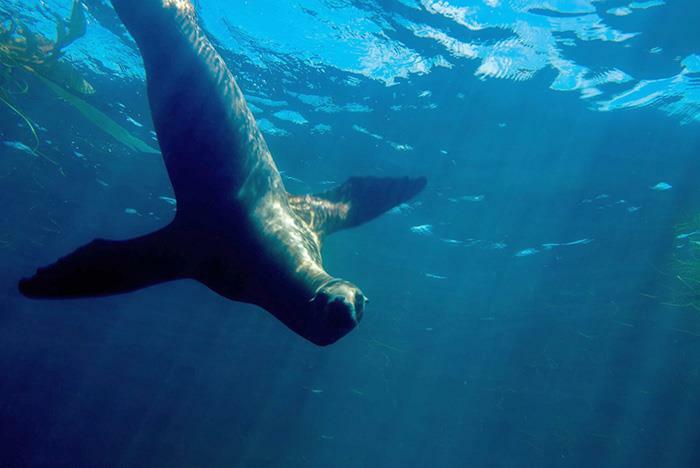 You will see everything from sea lions to magnificent sea caves, dolphins, fish, and more. Tour groups should meet at the Everyday California shop. How many people are on a tour at a time? The tour caps out at 20 people. Tours run every day of the year with the exception of the Fourth of July and Christmas Day. In addition, if severe weather conditions occur, tours may be canceled. Tours operate Monday through Friday at 11:20 am, 12:30 pm, and 1:20 pm, and Saturday through Sunday at 10:00 am, 11:20 am, 12:00 pm, and 1:20 pm. Will we kayak if it is raining? Yes. Tours are rain or shine. Do we actually kayak inside of the caves? Safety is the utmost priority while kayaking. 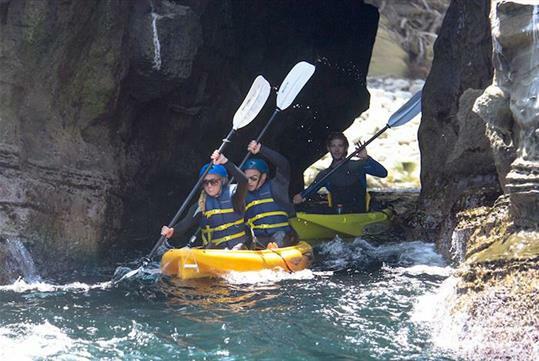 The tour guides will determine whether or not it is safe to kayak inside Emerald Kayak and La Jolla Sea Caves during your tour. We recommend wearing a swimsuit/bathing suit. Depending on the temperature of the water and how much wind is present, we may highly recommend a wetsuit. Bring your own if you have one or you can rent one from us for $11. Where do we keep our stuff? Lockers are available for rent for $3.30 for a small locker or $5.50 for a large locker. Will I use a single or double kayak? All guests will be in a double kayak. I do not know how to swim. Can I still participate? Yes. Everyone is required to wear a lifejacket and helmet and are going out with an experienced guide who will ensure everyone has a safe, fun, and memorable experience. What can I bring on the tour? Bring as little as possible. Feel free to bring a water bottle or a waterproof camera. Do not bring anything that should not get wet. Park in the residential streets surrounding the shops. Do not park in the lot across the street from the Everyday California shop, as you will be towed. Do not park in a 90-minute zone, as the tours will last longer than this time period and you may be ticketed. Yes. 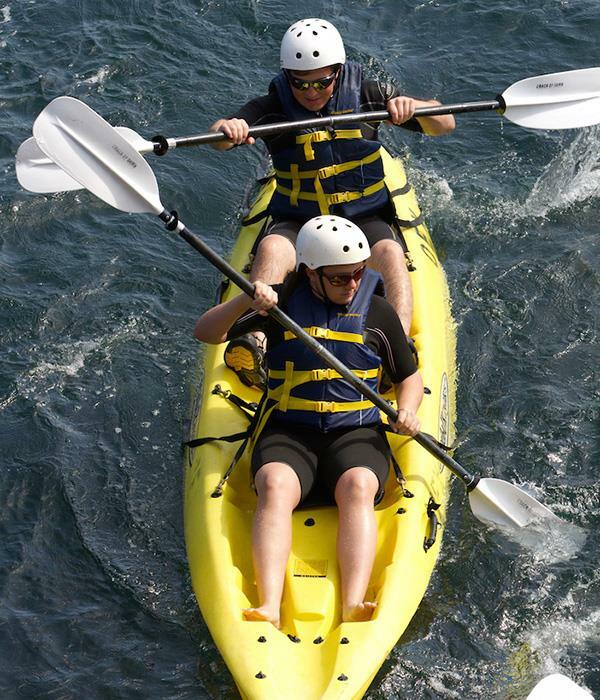 The weight limit for kayaks is 425 lbs / 193 kg per kayak. Where is the Everyday California shop located? 2261 Avenida De La Playa, La Jolla, California 92037 at La Jolla Shores.